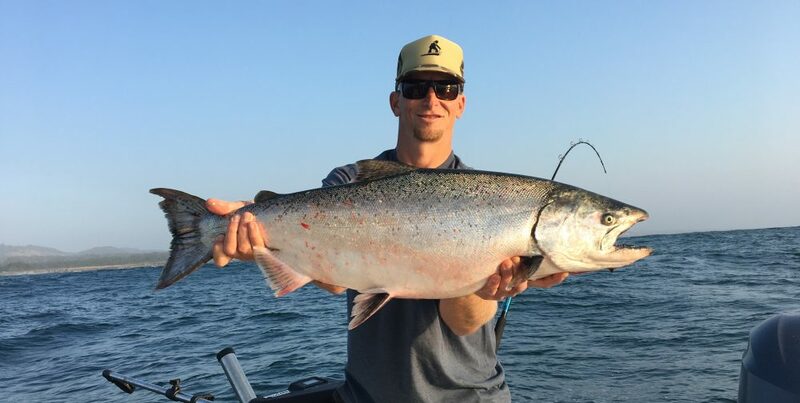 King (Chinook) salmon are found in abundance just outside of Humboldt Bay and even inside it at times. 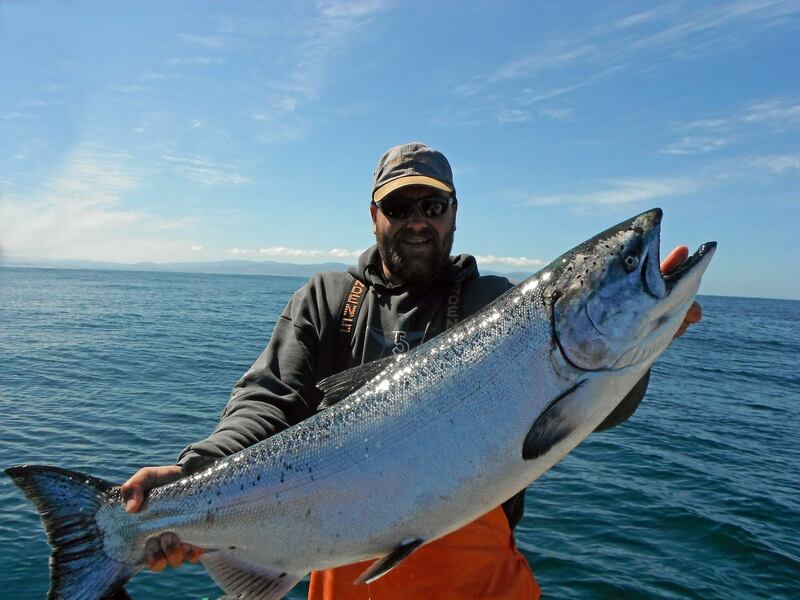 Our historic season of Memorial Day weekend through Labor Day weekend has steady action on salmon fishing throughout. 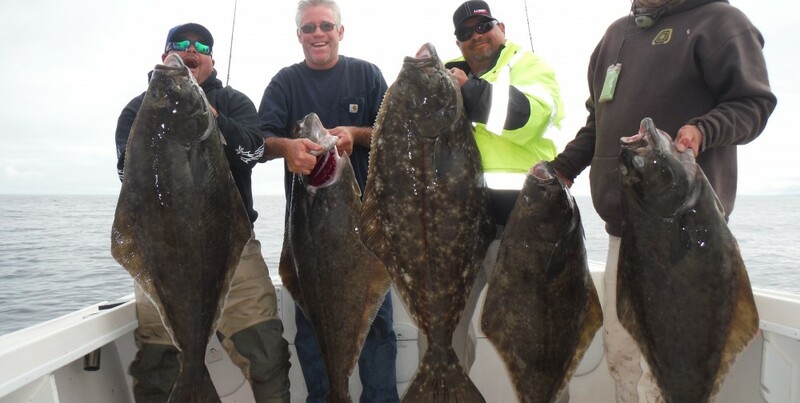 Pacific Halibut are mostly caught in 30-60 fathoms depending on the time of the season, which runs May through October historically. 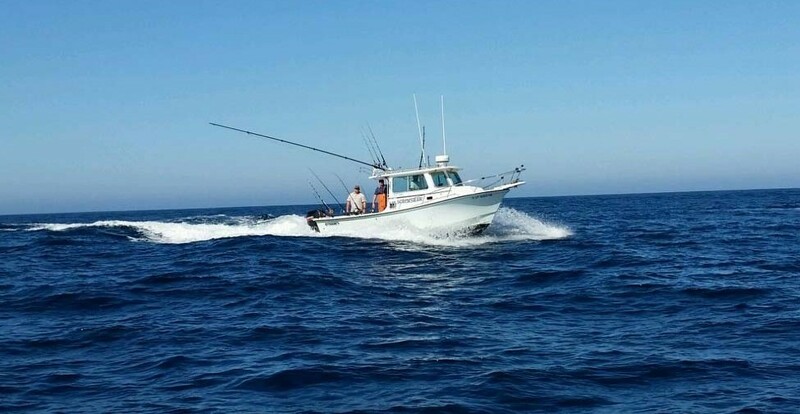 Some of the best spots are right out front of Eureka but we fish for them up toward the Klamath River off Trinidad down to Cape Mendocino and other hot spots to the south. 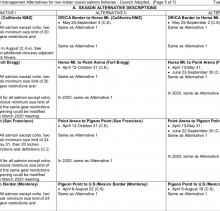 Seasons vary from year to year on salmon and halibut due to quotas so check in to see what it looks like for this season. 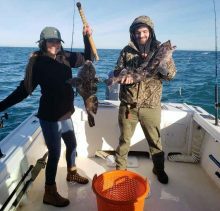 Rockfish of all colors and lingcod big and small cover the rocks just south of Eureka where we fish for them along the Lost Coast. 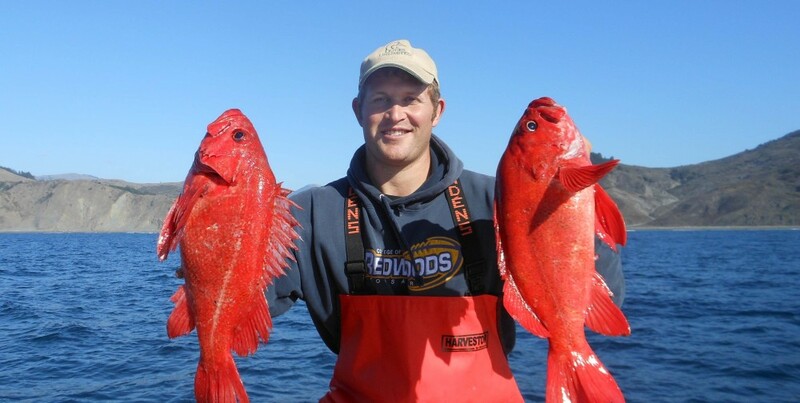 This area is only accessible by boat from Humboldt Bay and Shelter Cover and keeps the fish big and the fishery healthy. 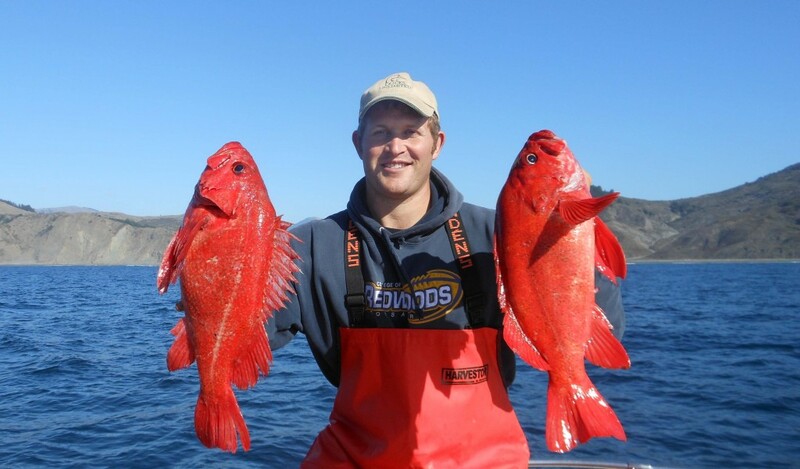 The season for rockfish and lingcod runs from May through December. 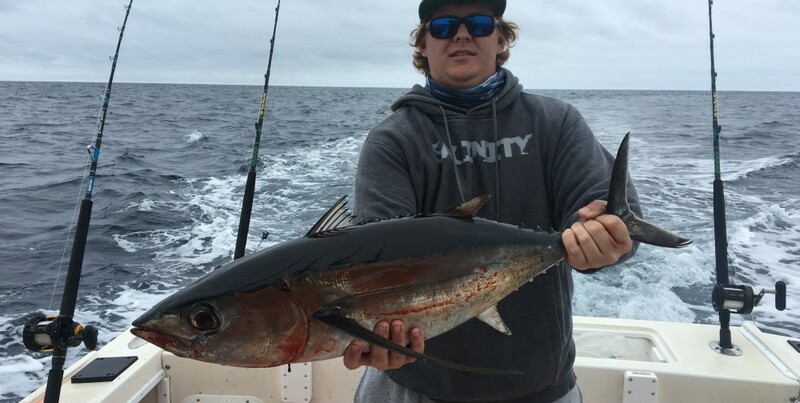 The highly anticipated arrival of Albacore Tuna happens as early as June some years on the North Coast but the heart of the season is mid August through October when we see some flat calm seas and great fishing. 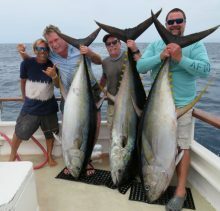 We sometimes have rare sightings or catches of California Yellowtail, Dorado (Mahi Mahi), Bluefin Tuna, Opah, Marlin, Mako Sharks, and Swordfish that ride in on the clean warm water currents. Dungeness Crab are plentiful along the Northern CA Coast and the best crabbing occurs in the month of November, though we often have some crab pots in the water for spring crab once Pacific Halibut season Starts. 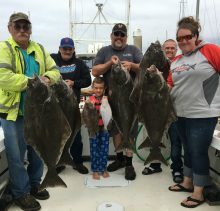 CA Halibut start showing up to feed inside the protected and productive waters of Humboldt Bay in June and stay until the fall rain runoff pushes them back out into the ocean waters. Various shark species and bat rays are found biting from spring through fall inside Humboldt Bay for those that are looking for a fun way to spend a half day on the calm waters inside the bay. 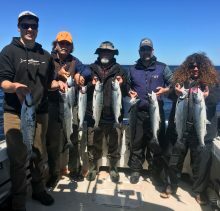 Call 707-601-3474 to book your next Eureka Fishing Charter Trip! Fishing our way through summer! Lets go find some biters!